Raise a Green Dog! : Is your lawn killing your dog? Is your lawn killing your dog? A lush, beautiful, green lawn may be the envy of everyone in your neighborhood, but if you use chemicals to get that beauty you may be creating a chemical yard dump that new studies are finding is likely the cause of malignant cancer and other health problems in many dogs. For years, we have been told by lawn care product manufacturers and other professionals that it's perfectly safe for children and pets to play on lawns anywhere from immediately to up to several hours, depending upon the lawn chemical product is applied. But what they aren't telling you and what you don't know may be harmful to your dog and to you. The idea that lawn fertilizers, pesticides, insecticides and herbicides may be contributing to the health problems in dogs is somewhat new to the mainstream, consequently only a handful of studies have been done to examine the link between lawn chemicals and the affects on dogs, other pets, children and humans. Thankfully, concerned organizations and individuals have finally begun to put pen to paper to study the affects of lawn chemicals on humans and our pets. Mounting evidence in a variety of these recent studies shows that yes, these chemicals are dangerous and can have life long effects, especially if you examine them as a group. In January of this year a published study was released (Abstract of Environmental Health 112(1): 171-6 (Jan. 2012), that shows a link between lawn chemicals and cancer in dogs. For the study scientists identified 263 dogs with biopsy-confirmed canine malignant lymphoma (CML), 240 dogs with benign tumors, and 230 dogs undergoing surgeries unrelated to cancer. Then, they asked the pet owners to complete a 10-page questionnaire. From the data, scientists found that dogs with malignant lymphoma were 70 percent more likely to live in a home where professionally applied lawn pesticides had been used. Dogs with serious malignancy were also 170 percent more likely to come from homes where owners used chemical insecticides. The facts are beginning to show that these chemicals have been linked to other grave illnesses in dogs. 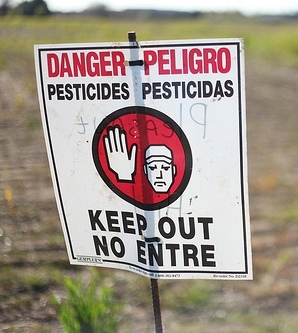 Just think, if they kill bugs and weeds, what are they doing to children and pets? One study indicated specifically that "children living in households where pesticides are used suﬀer elevated rates of leukemia, brain cancer and soft tissue sarcoma." A respected report and DVD "The Truth About Cats, Dogs and Lawn Chemicals," funded by Newman’s Own Foundation, has a lot of information for you to learn about the dangers and effects of lawn chemicals on your pets. One of the most important items their site and DVD states is that reading product labels does not give you all the information you need to help you and your pet be safe. Why? Because many times 80-99% of the ingredients on a lawn care product is labeled as 'inactive' or 'inert.' The only way to completely research all the ingredients contained in a specific product is to look up the Material Safety Data Sheet (MSDS). And as we've found, it's not always easy to find these documents, even online. 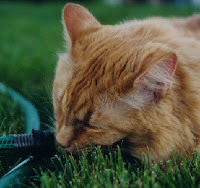 BeyondPesticides.org studies find that dogs "exposed to herbicide-treated lawns and gardens can double their chance of developing canine lymphoma. And these dangerous chemicals may also increase the risk of bladder cancer in certain breeds by four to seven times." Their site has other facts and figures that relate to the use and affects of pesticides, herbicides, fertilizers and insecticides on humans, pets and children. In addition, you can find a complete list of lawn chemicals on their website and the effects they can have on you and your pets. Atrazine is a very widely used herbicide and is included in many chemical lawn care products commonly utilized many homeowners throughout the US. However you would only know that atrazine is included in the product if you took the time to look up the MSDS sheet, as it is lumped in to the 'inert' or 'inactive' ingredients listing. If you look at the Material Data Safety Sheet of the Scott's product Scotts® LawnPro® Weed and Feed it indicates, "atrazine is slightly to moderately toxic to humans and other animals. It may be absorbed orally, dermally, and by inhalation. Symptoms of poisoning include abdominal pain, diarrhea, and vomiting, eye irritation, irritation of mucus membranes, and skin reactions." In addition, it states "atrazine, at lethal doses in test animals, have caused lung congestion and/or hemorrhaging in the lungs, kidneys, liver, spleen, brain, and heart. Long term consumption of high levels of atrazine has caused tremors, organ weight changes, and damage to liver and heart tissues." Officials at the Environmental Protection Agency say Americans are not exposed to unsafe levels of atrazine. They say that current regulations are adequate to protect human health. Those regulations were set in the 1990's. Since the '90s new information has been garnered, and testing and data correlation abilities have advanced. The New York Times article goes on to say, "now, new research suggests that atrazine may be dangerous at lower concentrations than previously thought. Recent studies suggest that, even at concentrations meeting current federal standards, the chemical may be associated with birth defects, low birth weights and menstrual problems." With consistent use for years, current level indicators for this chemical are now in many states and cities far above the safe levels indicated by the EPA. Science has also improved over the years and many individuals, including those with the EPA and those consulting with the EPA, are calling for reexamination of atrazine because of new and valuable information. For years governmental agencies have been wrong about what is safe for humans and for pets and animals, and/or new data and information has come to light that make their designation obsolete. Take DDT as an example. Remember this ad? You may not, but you may know of the term DDT. This ad and other versions appeared in Life Magazine, Popular Mechanics, Good Housekeeping and Woman's Day from 1947 until 1949. It was also guaranteed by Good Housekeeping before their 'seal of approval' was instituted. It was in those years, DDT was considered a miracle to some. According to Wikipedia, DDT was first synthesized in 1874, DDT's insecticidal properties were not discovered until 1939, and it was used with great success in the second half of World War II to control malaria and typhus among civilians and troops. The Swiss chemist Paul Hermann Müller was awarded the Nobel Prize in Physiology or Medicine in 1948 "for his discovery of the high efficiency of DDT as a contact poison against several arthropods." After the war, DDT was made available for use as an agricultural insecticide, and soon its production and use skyrocketed. 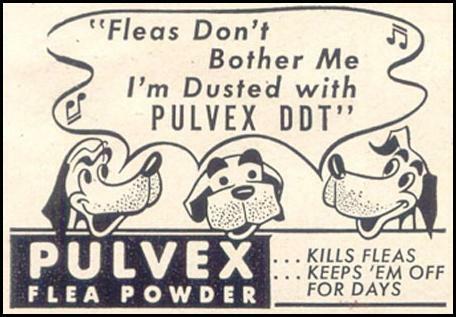 People utilized DDT in many products from combating head lice in children, to spraying for mosquitoes, to even killing fleas on dogs and cats. In 1972, EPA chief William Ruckelshaus banned DDT after seven months of testimony of the dangerous effects and cited it as a “potential human carcinogen.” It took 23 years before governmental agencies recognized the danger and harm this chemical could bring to people, pets, animals and the environment. These are not isolated incidents. For years, a variety products and chemicals that have been proven safe and effective from governmental agencies have later been found to be dangerous to humans and pets. Even though there haven't been years and years of studies conducted to directly correlate the effects of lawn chemicals on our dogs, heeding these smaller and more recent studies should cause you concern not only for your dog, but for you and your children. Some may say these studies are flawed or there isn't enough data to determine the dangers. But, we say, why take a chance with your dog's health and yours! Having an amazingly, beautiful and lush green lawn without the use of dangerous and harmful chemicals is very possible and just as easy as a four-step program. We'll follow up this post with information about how you can have an organic lawn and keep dangerous chemicals away from your dog, your other pets, you and your children. 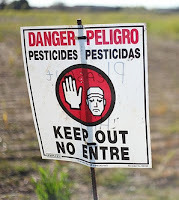 Danger Pesticides photo courtesy of Valley_Photographs. I agree. This is a fantastic post. 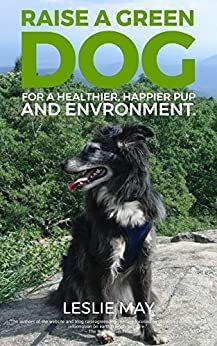 Thanks to blogging, I learned that there are so many alternatives to the poisons we used to put on our dogs (and feed to our dogs). It's fantastic to know that we didn't have a flea problem during a summer when they were to be predicted to be a scourge - and we just sprayed a natural formula on them every other day. We don't use pesticides; we just pull up weeds. It's definitely more work, but it's worth it when we look at our happy, healthy dogs. If you want to provide total comfort to your pets during summers, then you must provide a separate fenced enclosure, where they can enjoy running around the water fountain, and lay down on the wet grass, as it helps regulating their body temperature. You may easily find the varieties of dog runs for sale with the famous pet stores.